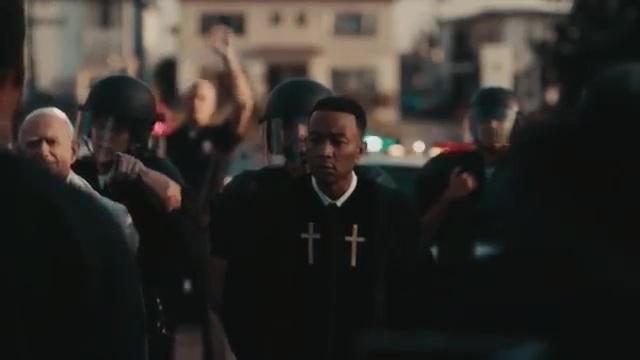 Dominique DeLeon Directs John Legend's "Preach"
In this video for his new single, “Preach,” John Legend confronts a myriad of social issues affecting marginalized communities. The Dominique DeLeon-directed video opens with the singer lying awake in bed beside wife Chrissy Teigen before taking a harrowing look at a handful of issues taking root in America: School shootings, children being separated from parents at the border, law enforcement’s aggressive tactics toward African-Americans during traffic stops and more. Production AJR Films Dominique DeLeon, director; Peter da Silva, Kelsey Gilchrist, producers; Holly Hubbell, Marita Gomsrud, production managers; Jonas Morales, 1st AD; Christian Labarta, 2nd AD; Schnel Francis, director’s assistant; Sing Yam, Todd Banhazl, DPs; Ben Steen, Jeff Caples, 1st assistant camera; Drew Barnett, Walter Dandy, 2nd assistant camera; Xavier Thompson, Liam Clark, Aaron Gantt, Steadicam operators.